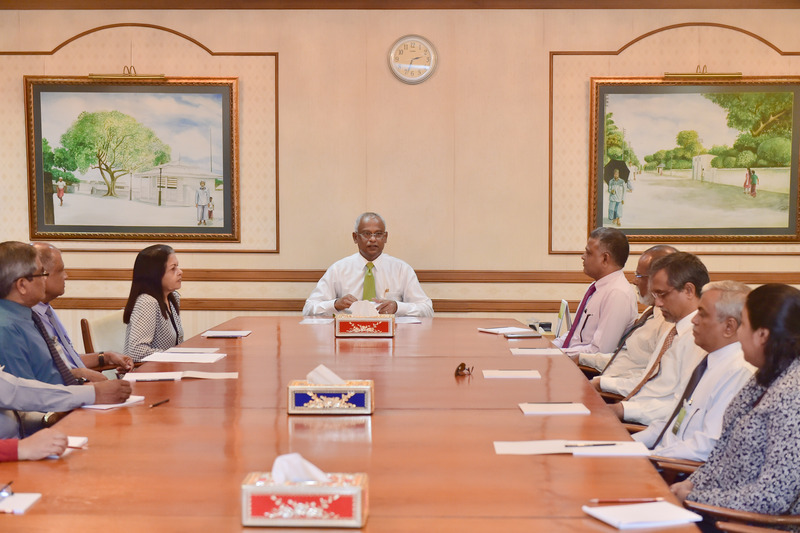 President Ibrahim Mohamed Solih has this afternoon met with the newly appointed members of the National Awards Committee and Special Achievement Awards Committee. Speaking at this meeting, the President stated that the committees should continue to function in the same impartial and just manner as they have been functioning previously. He further called upon the committee members to give top priority in choosing recipients who truly deserve the awards in their respected field. Speaking in this regard, the President underscored the importance of conferring Special Achievement Awards and requested to comprehensively review the guidelines and criteria for eligibility of the awards, especially pointing out that students who win the first place from the University should be eligible for the award even though that student did not acquire above 85% marks as required in the current criteria. He stated that this should be reviewed in a way where more students do not get disheartened in their efforts to achieve the best grades. 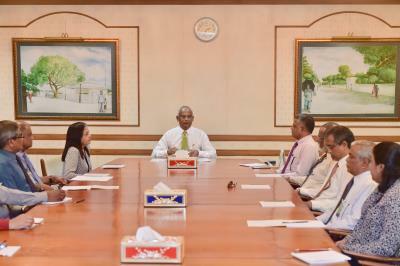 Furthermore, President Solih advised the committees to confer the awards in separate functions and asked to conduct discussions ad put forth a recommendation to the President. National Awards and Special Achievement Awards are currently conferred during the Independence Day function held each year.